Yesterday was the fourth day of the hearing of Indian Young Lawyers Association vs State of Kerala [writ petition [c] 373 of 2006], after the petition pending since 2006 found itself revived by Justice Dipak Misra-led bench. The other judges on the bench are Justices Pinaki Chandra Ghose and NV Ramana. As the item was 303, it did not exactly start at 2 pm. But the temple trust’s counsel, KK Venugopal wanted an adjournment to another day to enable his client to prepare the relevant materials for the hearing. The bench, even while considering his request, wanted to apprise itself about the issues involved, and set the stage for the hearing. There were a number of facets to today’s hearing. First, the bench refused to stay the 1991 Kerala High Court order in S.Mahendran vs The Secretary, Travancore Devaswom Board which had barred the entry of women to the temple. Second, it asked the state government counsel, V Giri why the government changed its stance after first supporting the petitioners’ plea in the case. The previous Left Front Government had supported the plea to let women worship at the temple. However, in its latest affidavit to the Court, the state Government revised its stand, and has opposed the plea of the petitioners. Giri was unable to explain the inconsistency beyond saying that the change was necessitated by the state Government’s obligation to correct the error made by the previous Government. Third, more parties joined the case. Senior advocate, Indira Jaising represented the NGO, Happy to Bleed as an intervenor. K Parasaran made brief submission on behalf of another intervenor, Nair Society. Both made fascinating interventions, when requested by the bench to do so. Fourth, the bench appointed two senior advocates, Raju Ramachandran and retired Judge of Delhi High Court, K Ramamurthi as micus curiae. When asked by Justice Dipak Misra about his prima facie view, Ramachandran said he was for the entry of women. Venugopal quipped that despite making his views on the issue known, he was confident that Raju Ramachandran would make an excellent amicus. When Justice Dipak Misra asked whether Ramamurthi would assist the court “along with” Raju Ramachandran, Ramamurthi hesitated, and said since Ramachandran had made his views on the issue known, he would like to assist the court independently. Indira Jaising made a pointed request that the bench must ask the amicus to submit briefs in advance to know what they are supposed to argue in the case. Fifth, although Justice Dipak Misra made it clear that it would examine the issue on constitutional principles, the brief exchanges between the counsel and the bench appeared to suggest that the hearing may digress into a discussion on spirituality. This made Indira Jaising to ask the bench to clarify what spiritual arguments would be allowed. Venugopal repeated the argument which he made during the last hearing saying that the practice of restricting the entry of women to the temple has been there for several centuries. It appeared as though that the long history of the practice would be cited as a ground to support the view that it is an essential aspect of the cult or the denomination. 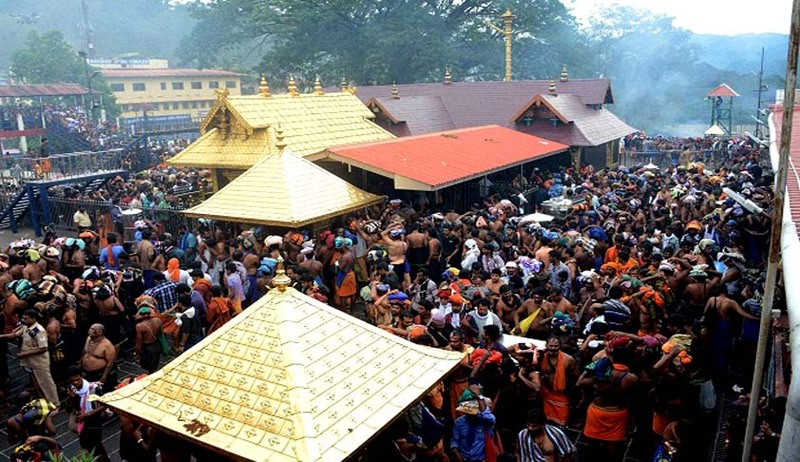 Justice Dipak Misra’s pointed questions on the history of the discriminatory practice at Sabarimala set the counsel wax eloquent on the salient aspects of the temple tradition. The court will hear the matter again on 11 April.